You might be wondering how tall is a polar bear standing up. 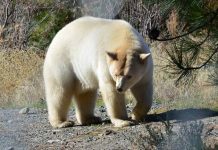 The average height of a polar bear when it stands on its four legs is about 4 feet and 4 inches. This is an approximate measurement of its shoulder height. However when it stands on its hind legs the bear reaches the height of 7 feet 10 inches to 9 feet 10 inches. 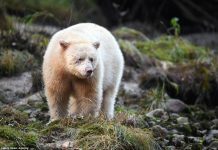 The largest polar bear was shot in the northwestern Alaska in 1960. It measured 11 feet 1 inch tall when it stood on its hind legs. The biggest and probably the tallest polar bear ever recorded to date. 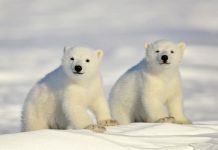 Read More: How Much Do Polar Bears Weigh? 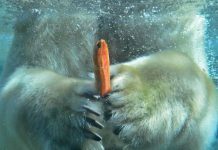 Polar bears are the most sexually dimorphic of all mammals in that the males are significantly larger than the females. Adult females reach only 5 feet 11 inches to 7 feet 10 inches in the overall total height as compared to the male’s height of 7 feet 10 inches to 9 feet 10 inches. Kodiak brown bears is just one other bear species which might have possibly the same height as polar bears. Adult females reach only 5 feet 11 inches to 7 feet 10 inches in the overall total height as compared to the male’s height of 7 feet 10 inches to 9 feet 10 inches. 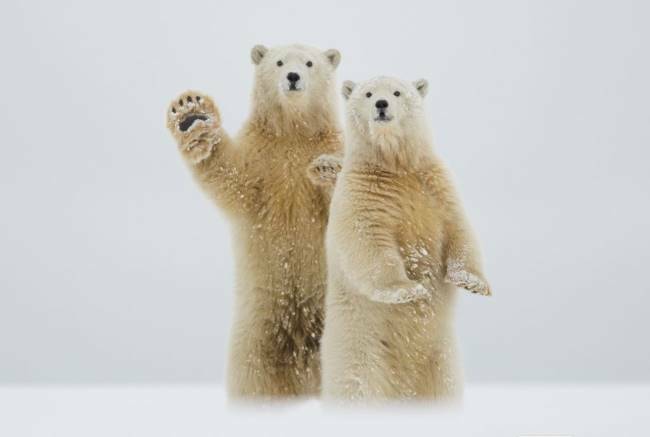 Polar bears stand on their hind legs only when they want to see as far a distance as possible. 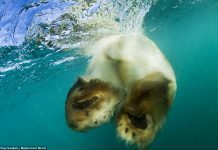 Sometimes a female polar bear attempts to check out if there is any adult male polar bear approaching. She just wants to keep her cubs safer from any possible threat. 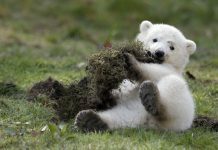 The male polar bear usually kills and eat polar bear cubs. YOU MIGHT LIKE TO READ?